Marriage Small Groups or Individual Mentoring? I spoke with a couple that wants to work with marriages at their church. Their pastor is behind them and, now, they were wondering where to start. I get excited by these conversations! I’d like to see every church have an effective marriage ministry. What’s the best way to impact marriages? Is a small group the right approach? What about meeting with couples individually? My wife and I have tried it both ways. Both methods have advantages and disadvantages. 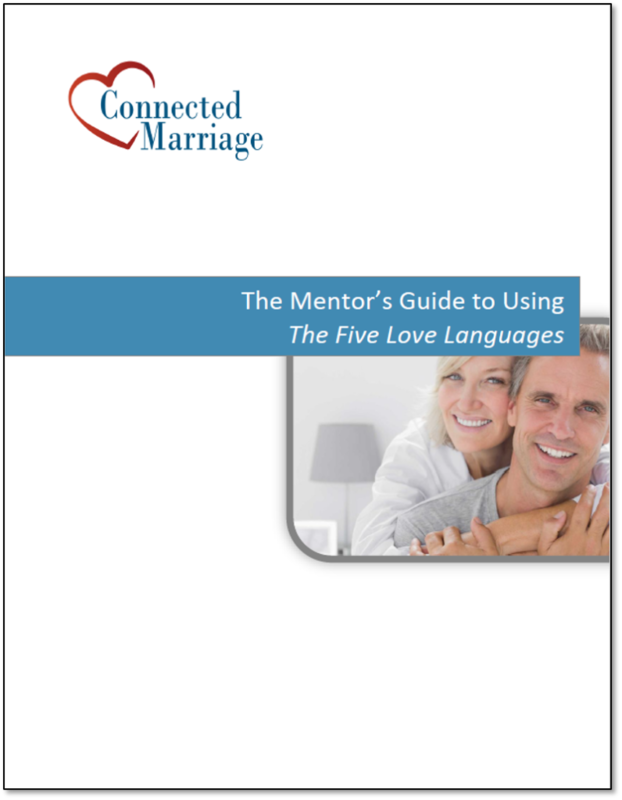 We developed the Connected Marriage curriculum in order to facilitate both approaches. Our online education program is meant to be completed in seven sessions. You can assign a session, the couple completes it on their own time and then you meet with them to help them apply the concepts. At our church, we regularly have small group classes with couples that want to improve their relationship. We have had a great deal of success with this approach. In my experience, promoting a marriage education class is easier than asking couples to meet with a mentor. Most couples will never go to a marriage therapist. If they do, it’s when they are already in a poor place. Marriage education removes that stigma. We can impact couples earlier. Couples can commit to a class before hostility and resentment build up to challenging levels. I’ve found that it is easier for couples to commit to a set time period. We always ask for a commitment. We ask for seven sessions. The couple knows that it will end and so it’s easier to agree. In our small groups, one of the things that we hear over and over again is that it feels so good to know that you aren’t alone. When couples are struggling, they often feel alone. They look around at all the “perfect” couples and wonder why they can’t seem to get it together. When they hear that other couples are struggling, it takes away the shame. It helps them to be more honest about their challenges and to start to work on their relationship. Hearing from other couples can be motivating. It never fails. There will be a couple that is struggling and they will come in and report that they resolved some issues or that they had some great connection. The other couples in the group find this motivating. They walk away thinking that they can have some success as well. The limitation of a small group is that you need to have three to five couples to have a good group discussion. That’s not always possible. Also, couples may need more individual attention. We frequently lead a small group and then offer some individual sessions. Couples often take us up on this offer. Many of those couples would not have gone to an individual mentor or a therapist. One of the most challenging small groups is when you have a mixture of healthy and unhealthy couples. I find that the healthy couples will sometimes dominate the discussion and the struggling couples feel shame. They don’t want to admit that they have major issues. I always make it a point to be sensitive to couples that don’t seem to be doing well. My wife and I have mentored a number of couples individually. There are some great advantages to this, but also some disadvantages. This option works great when you don’t have enough couples to form a small group. Honestly, there are people that don’t want to go to a small group and are open to meeting privately. Private mentoring allows you work individually with the couple. It’s easier to go deeper. You can ask them specific questions that would be difficult in a group setting. We also set specific goals. For example, if they are having trouble communicating, we will work with them to set up communication rules. Then, we keep them accountable when we get together again. Sometimes, we find that a couple needs more work on a specific issue or topic. With individual sessions it’s easy to add another meeting. Some of the challenges that we have experienced is that couples are reluctant to sign up for mentoring. I know churches that promote individual mentoring and that has worked well for them. At my church, it’s easier to get couples to commit to a group class than individual coaching. I think people are uncertain what mentoring or coaching means. With individual sessions, there isn’t a sense of feeling you’re not alone. Since you don’t hear from other couples that have the same issues, it’s easy to still feel disconnected from others. You also miss experiencing how other couples make progress, which can be very motivating. Think through the pros and cons – We have done both of these approaches and both of them can be useful. It helps to understand the benefits and challenges. Try a small group – If you haven’t tried a small group, do it. Try individual mentoring – You can do this as a follow up to a small group. If you don’t think you can find enough couples for the small group, this is a great approach. Whatever approach you use, you’re ministering to couples! As always, I’m interested in learning what others have experienced. My husband and I have been mentoring marriages for about 1 1/2 years. We agree that the best sized groups are 3-5 couples. I wouldn’t have more than 5 because the group dynamic is too large and people won’t open up in a large group as much as they would in a smaller group. The MOST important ingredient is praying for the couples daily and being available when they need a little more than a group can give them. Being real by being vulnerable is the best way to break through to people going through struggles. The thing that has worked best for us is exactly what you said to do. That is to have a group and offer individual mentoring if the need arises. I like your comments. I have found that being vulnerable is key to having couples become transparent. I especially appreciate your comments on prayer. Praying for the couples is essential. I often forget that couples aren’t always comfortable praying with each other. We’ve met many people that have never learned to pray out loud. 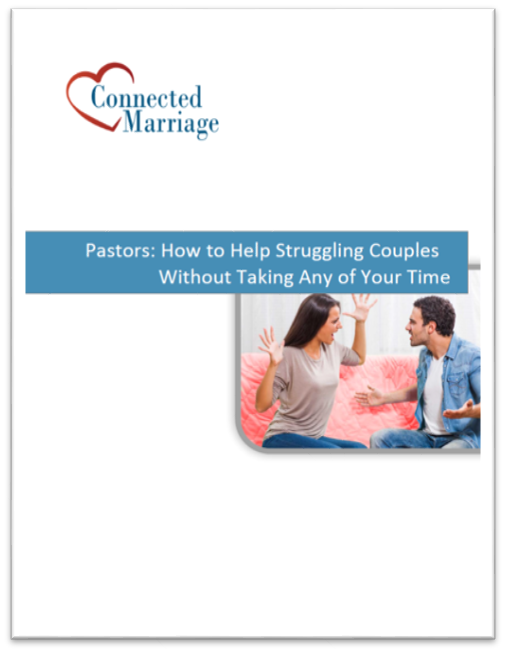 In our surveys, we’ve found that most couples would like to pray with their partner, but they don’t do it now. Helping couples to learn to pray together is also important! I believe it depends on the couple and the severity of their problems. Sometimes a few private sessions and then onto a group session works marvelously. God will speak to your gut instinct and tell you what’s best. Each couple varies so much.